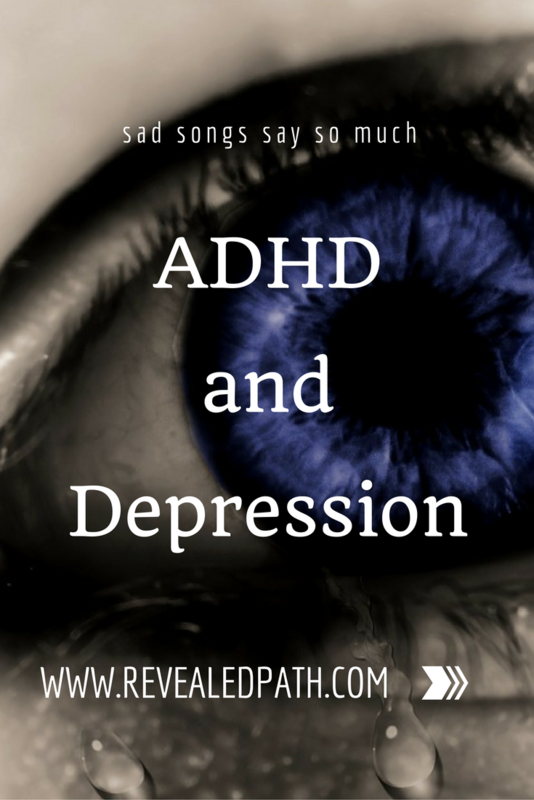 Today's tip about bettering your ADHD Baseline has to do with comorbid conditions. Because having ADHD often isn't enough (insert sarcasm), it often has a sidekick commonly called anxiety, bipolar disorder, obsessive compulsive disorder, oppositional defiance disorder, addiction or depression. This sidekick will show up uninvited to the party. When that happens, it can be difficult to figure out who is the true culprit of that day's shenanigans. Google defines Depression as feelings of severe despondency and dejection. A daily feeling that is associated with it is sadness. Today's tip is something to help when you're feeling down and well, just simply sad. It is something you may not have considered. It is something that I heard on a podcast last week. The podcast may be of interest to you too, it's called The Hilarious World of Depression. The quick tip from this is when you're feeling blue, listen to a sad song. See if it works for you. A few of my favorites are: Back to Black-Amy Winehouse, Say Something-A Great Big World, Stay With Me-Sam Smith, Tears In Heaven-Eric Clapton and I Want To Know What Love Is-Foreigner. I'd love to hear which sad, sad songs help you feel better when the chips are down. Leave them in the comments below.